Not sure why they wouldn't regulate flow via outlet, but there must be a reason other than job security, right? consider a bay with an open outlet scheme. I'm not sure what you mean by that, but imagine the situation is more complex than the P51 Mustang radiator situation. What I mean to say is we see these 747 NCAC inlets, so where are the outlets? Found an answer to my question. 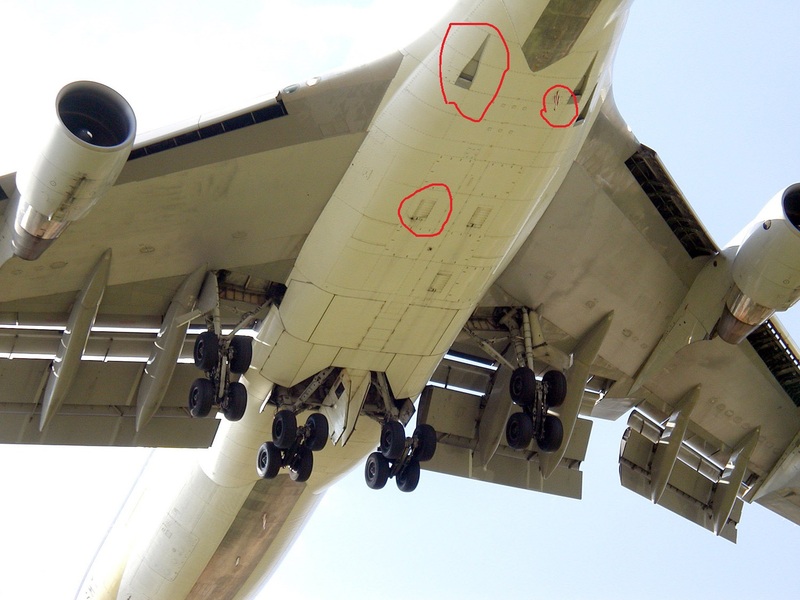 What are those in the belly of a 747? The forward ones are a ram air inlet (NACA duct) for the Environmental conditioning System (ECS) and what looks like an antenna. The aft one is an exit louver for the ECS. Go to the link, they seem to agree that the other thing is not an antenna, it's a drain. However the original close-up I posted looks more like a pilot tube to my eyes. In the search I also found a couple of what's in the tail of the plane links. 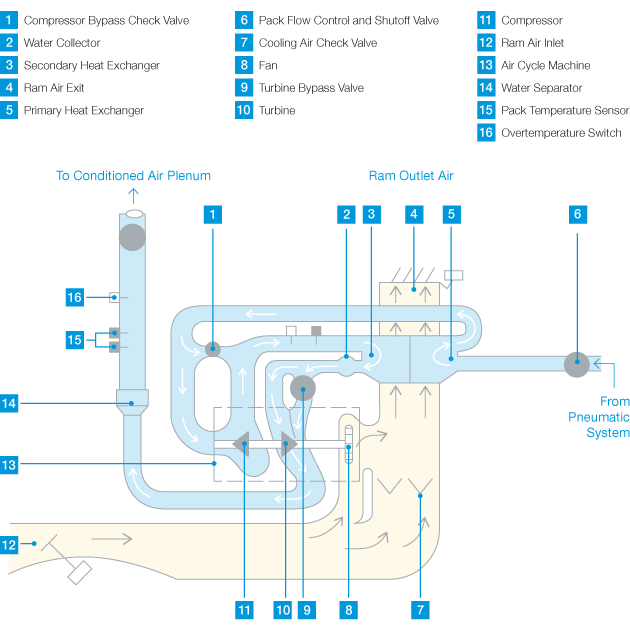 The Boeing 747‑8 includes a new environmental control system (ECS) that integrates the air supply control system and the cabin air-conditioning and temperature control system. Last edited by kach22i; 04-13-2019 at 09:47 AM..
Exit flaps are handy for things like radial engines, but the NACA duct loses streamlining if it is not in use. It still creates a high pressure pocket, but can only spill it back over a sharp edge. In general, internal flow is pernicious and should be avoided as much as possible. On the Voyager flight of 9 days, they kept adjusting the cooling air intake to the minimum, and still reckon it cost them 20% of the overall drag. There is no excuse for a land vehicle to weigh more than its average payload. in the propeller driven aircraft, complex planes with higher speed ranges have typically used cowl flaps to regulate cooling flow and drag. some aircraft designs tried to eliminate the added workload and complexity by using the venturi effect. my early 310 was one of the latter, with fixed geometry in and out, and exhaust positioned to utilize the high energy exhaust gasses in a muffler housing. more power=more exhaust and cooling air flow. the variable floor NACA duct is a brilliant idea; I wonder how it worked. The small vortex generators on top of the side-view mirror smooth airflow and reduce wind noise.